CRM stands for Customer Relationship Management and refers to practices, strategies, and technologies a business uses to manage and analyze data throughout the customer lifecycle. The goal of using a CRM system is to help with customer retention and drive sales growth. Collecting and organizing viable customer data is an involved and time consuming process that is not very forgiving of mistakes. With an automated system like Salesforce, you speed up the process and take many costly errors out of the equation. The importance of customer data doesn’t end once it’s been collected; keeping accurate and accessible records of customer transactions, preferences, needs, and concerns can easily mean the difference between a relationship that profits both parties, and one that leaves everyone feeling unfulfilled. Below are the top 5 benefits of using Salesforce as your dedicated CRM. Completing a sale is never as easy as just getting a customer to agree to commit. Along with the surface details of any sale, there are hundreds of smaller tasks that must be completed in order for everything to function properly. Forms need to be filled out, reports need to be sent, legal issues need to be addressed—these ancillary chores are a time consuming, yet vital aspect of the sales process. The best CRM systems are designed to take the burden of many of these tasks from off the shoulders of your employees, thanks to the magic of automation. This means that your representatives will be able to focus more of their efforts towards closing leads and resolving customer pain points, while the automated CRM system takes care of the details. Your time is valuable, but so is your customers’ time. And, should your customers experience a problem that needs resolution, they’re going to be unhappy unless that problem can be taken care of quickly. With CRM, as soon as a customer contacts your company, your representatives will be able to retrieve all available activity concerning past purchases, preferences, and anything else that might assist them in finding a solution. In many cases, your more experienced representatives, armed with past information and history, will be able to locate a solution within the first few minutes, thanks to an accessible database of potential issues. And, should a solution not be readily apparent, then bringing in other representatives, or even crowdsourcing for answers through customer portals, is a simple matter. With CRM, customer support becomes a walk in the park. Miscalculated data should not be the reason you cannot succeed, with CRM this is no longer a possibility. CRM systems store information in one place which leads to improved analyzing of the data as a whole. Easily integrated with different tools or plugins, you have the ability to generate automatic reports to maximize your time. Personalize your dashboard views to quickly locate information needed such as customer information, sales goals, and performance reports to reach untapped opportunities. With better reporting data you can make resourceful and effective decisions to reap the rewards in customer loyalty and long run profitability. As mentioned above, CRM makes it possible for any employee to provide the same high level of service, by having access to the same customer data. After all, even if your customers have a single, main point of contact, there’s a good chance that at some point that contact may not be available, and the client will be forced to have to work with someone new. When that happens, many customers face the unhappy prospect of having to ‘start fresh’ with someone who doesn’t understand their own unique preferences and issues. CRM does away with this concern, by making detailed customer information communicable to whomever might need it. As such, it won’t matter who it is that is currently assisting the client, because they’ll be working from the same information. And given that CRM is cloud-based and accessible from any device with an internet connection, the communication benefits of mobile CRM are not limited to the office. The more you know about your customers, the better you’ll be able to provide them with the kind of positive experience that really pays off. Everything that they do, and every interaction that they have with your organization needs to be identified, documented, and recorded. To do this, you need to move beyond the sticky-notes and disorganized filing cabinets, and start utilizing advanced organizational technology that can not only accurately quantify and categorize data for easy future reference, but also make that data available across departments. Thanks to CRM this all becomes a possibility; it allows you to store a vast list of customers and any important information regarding them. Access to their file is even more convenient than before due to the cloud, so no matter who it is that is helping the customer in question, they’ll have the same actionable data instantly available. This will result in less wasted time for clients and employees. The key to giving customers what they want lies in understanding them, and a CRM system does just that. It facilitates things by giving you and the customer, ease of communication, organized data, and improved customer service. All of this will streamline the process of making sure needs are met and actions get resolved in a timely manner. Your customers are the most important part of your business, and keeping them happy should be your top priority. Don’t put your business at risk; invest in a quality CRM tool, and prove to your clients that you care about their satisfaction. The CRM process shouldn’t be about a working harder but about working smarter, so that your customers get what they want, and you do too. Every business makes it a priority to put the right people in the right technology jobs to benefit both the company and employee. Many times, money and resources can be saved by utilizing an agency that specializes in IT Consulting, Staffing, and On-Demand Support. When choosing a staffing firm, there are things that need to be considered to ensure you are making the best choice. By working with a staffing firm that specializes in technology specialists, you have a greater chance of getting the talent you desire. First, you determine what it is you need. 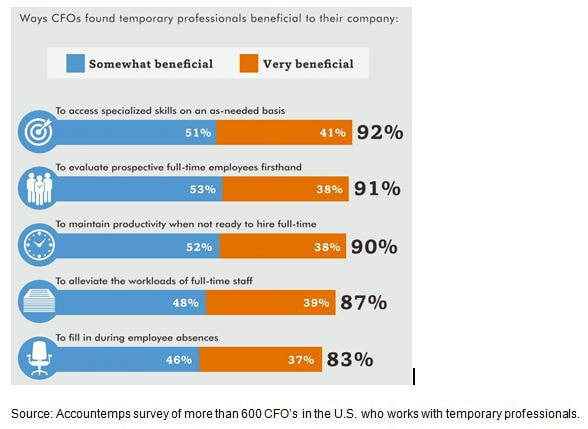 Do you need to staff for a short time, long time, or permanently? Is there a deadline, a certain budget, or specific technologies or products involved? The answers will provide you with a place in which to start looking at potential partnerships. Here are some questions to ask that will help guide you into finding an IT consulting firm that will fit your needs and create a successful partnership. 1) What were your initial interactions like with the firm? You should get the impression that you are dealing with people who are knowledgeable, professional, and pleasant to do business with. 2) Do they completely understand your needs? Some people will agree with anything a prospective client says or asks for just to get them to sign on. That’s not helpful at all. You need to assure that your specific needs can be met and if there are some details you need to work on, the firm can help you create a strategic staffing plan that will work best for you. 3) What is the talent pool like? Most staffing agencies take great pride in cultivating their talent pool of technology professionals. They have been already been vetted, tested, and proven to be worthy candidates for open positions. Finding technology staff can be difficult. By teaming up with a staffing firm that supplies quality professionals, you have a great opportunity to enhance the success of your business. Investigating and researching a firm beforehand will lead to creating a lasting partnership, and saving you time and money. While I may not be so technically inclined myself, I have worked in and around the IT field for over a decade and in that time I have gained an inside perspective. There is always something that needs to be done, somewhere, that should have been done an hour ago. It’s very fast-paced and yes even sometimes frenzied, so it takes a very special kind of person to work in this environment. It doesn’t even matter what your business is – a hotel, a dry cleaner, doctor’s office, movie studio…everyone will have a technological need. Not every company will have the time or resources to handle their IT needs (like system upgrades, integration, website development, etc.). In my opinion, one of the best options available to businesses (regardless of size) is to hire an outside Technology Consultant. There are really nice people you can call (or email), explain exactly what you need done, and they will send someone over to do it. That makes me think Uber might need to start a new leg of their operation and call it Uber Tech – you order a consultant and they will pick them up and bring them right to your door! No? Well, anything is possible. ​There are so many reasons why hiring a consultant is beneficial, but I want to focus on just three. A consultant’s primary role at a company is to assist in a specific area of work or project, to offer guidance and results, and ultimately to make the business more profitable. Hiring a consultant will assure you are going to have someone with a specialized skill set you probably will not have with in house employees. IT and technology consultants have experience in implementing projects for a significant number and a variety of different organizations – because that is what they do for a living. You will benefit from their knowledge and experience needed to take advantage of best options, and avoid common pitfalls. The complicated nature and rapid change of technology in businesses means you need someone who has seen these circumstances first hand and already has the experience needed to complete their task quickly and proficiently. A consultant provides much-needed objectivity. They can provide a fresh viewpoint without having to worry about offending anyone or playing “office politics”. Sometimes there are conflicting ideas about which direction a project or task should go, and an outside consultant can provide valuable, unbiased perspective. The consultant will be able to remain calm in the face of conflicting technical views and conflicting information, and pursue a solution using an organized, fact-oriented approach. Given their experience, they can often bring new and innovative ideas or possible challenges to the table that companies probably wouldn’t have been able to see on their own. Hiring a consultant actually cuts down on costs – since they are independent workers, you do not have to provide employee benefits, tax contributions, or other perks/incentives. And since they can be provided to you from a reputable consulting/staffing group – you save weeks of time and resources by not having to perform hiring and onboarding tasks, such as advertising for candidates, conducting interviews, running background checks, looking into references, and making offers or counter offers. You will automatically be given the best fit for your company and be able to begin working with the technology professional with little to no training required. Consultants are hired on as-needed basis, which means when their task is completed they move on. There is no complicated process of trying to repurpose the employee into another role or planning a dreaded layoff. This may be a short list, but I wanted to highlight really the absolute most beneficial reasons for hiring a technology consultant. No matter what your need is there are people who can dive right in and make a difference in your company and can generate a very large return on investment. Consultants save time, money, resources, and provide the expertise, experience, and objectivity needed to make a business successful. ​I am a person who cares about people, and technology, and technological people! The IT industry is one that is still in its infancy really, compared to other life-changing industries of the past century and how long it took them to progress. I remember when I was in high school (early 1990’s – I’m dating myself, I know) and it was a huge deal when a friend of mine got…a computer! It was in his home (how amazing!!) and it had this thing called America Online where you could sign in (as long as his mom wasn’t on the phone) and chat with other people…all over the world! That was just about 25 years ago and now almost just about all aspects of our lives are touched by, improved upon, or changed with computers and technological advances. This has obviously created a need for individuals who invent, support, implement, and improve upon said technology. The range of talents needed to be successful in the IT industry is huge. The days of just repeatedly stating “Have you tried turning it off and back on again?” as an IT professional are a thing of the past (although that is still a very good question!). Today there are hundreds of specializations, each that require their own unique set of skills and knowledge base. However, there are some universal traits that the greatest and most proficient technology professionals will have. It’s understood that a technology specialist will have an impressive educational background, but it’s crucial that the gathering of knowledge doesn’t end when a diploma is in hand. There should be a constant quest for new information, a readiness to explore many lines of thought and gather insight from as many sources as possible. When a person has the drive and desire to continuously learn – that makes them extraordinary. If you believe what movies and television tell you, than it would seem “IT guys” are shy, nerdy, quiet, unobtrusive, docile beings that just live to serve the machines and avoid human contact. We in the business world know better! Technology specialists are most effective when they are masters of communication and are just as comfortable in front of a boardroom as they are in front of a computer screen. It is also best to speak more than one language – and by that I mean they can speak technical jargon, they can speak in numbers and bottom lines, and they can speak to non-technical people and relay information in ways that is easy for them to comprehend. There is an old saying “If you can’t do what you love, love what you do.” To me, an important element of someone who is going to be successful as a technology professional in any capacity will both love what they do AND be doing what they love. They have a passion for diving into their work and getting the best results possible. They can end their day with the satisfaction of knowing that everything they’ve accomplished has purpose and is important. They are reliable assets because they want to be there, putting in the effort to see the fruits of their labor come to fruition. No one goes into every single work day or project knowing exactly what issues they’ll encounter. Surprises happen (sometimes good, sometimes bad) but your best technology pro will not crumble, they will flourish! A person who is adaptable can take situations or details that they have not accounted for and work with them, instead of having those things work against them. They will not be afraid to seek help from other more knowledgeable sources, or to use new techniques they have learned. They can reach into other areas of expertise outside of their own and look for solutions. Any specialist who can bend and not break is the most valuable resource to have. As hard as it is to admit – with most things in life mistakes will be made. If you are the person to make those mistakes or the one who did not prevent those mistakes from being made, it is important to hold yourself accountable. Even a small miscalculation can have huge ramifications when you are dealing with technological issues. A truly great professional will not delay matters by trying to place blame or find out who could have been MORE responsible for the error – they will accept the issue as it stands and put all of their energy into making things right. From what I have studied, these core behaviors and personalities are going to be present in the most successful individuals who work as technological professionals. 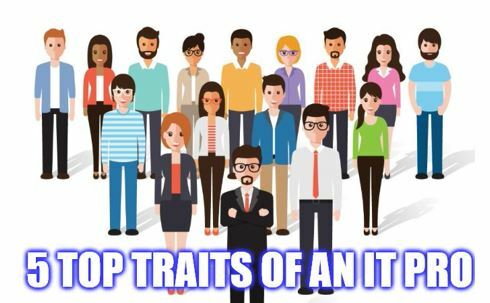 Regardless if a company needs someone who specializes in cloud computing, disaster recovery, SEO, networking, resource management, business intelligence, research, programming, systems management, or engineering – in is imperative to have the very best people in these positions in order to bring value to their business. Whenever we get a LinkedIn recommendation from someone we admire and respect professionally, we feel honored and encouraged to return the favor. But the hesitance to write comes in the way . The feeling of never knowing how to start or what to say never, replicating recommendations is all that comes to our mind. Below are a few tips that you can use while writing a LinkedIn recommendation which is specific, honest, succinct, and helpful for the person you're recommending. 1. Explain the nature of your professional relationship : That sounds really serious, but it's simply a helpful piece of context that acts as an "introduction" for your recommendation. Whether it's a coworker you've worked closely with for years, a manager, a direct report, a point of contact at an agency, or something else entirely, it sets the stage for the reader to learn why you're writing this recommendation. 2. Provide details of the position for which you're recommending the person : Are you recommending this person for their work in one position? Or are you writing about their work across multiple jobs they've held while you worked with them? Either way, a great next step is to explain some of the notable parts of their job(s). It may feel strange -- kind of like you're listing out their job description. But this is very helpful for anyone reading the recommendation, looking to get a feel for what precisely it is they did in their job. Resist the urge to create a laundry list of their job duties. 3. Indicate how their contribution helped growth : This could be an explanation of how their performance helped hit hard metrics, or it could demonstrate a contribution toward more esoteric things, like leading their teammates or fostering new initiatives. 4. Explain what these achievements reveal about that person : By now, you've included some specifics -- so explain what those specifics mean for the larger theme of your recommendation. Do the examples you've detailed reveal that person is hard-working? Ambitious? Great for team morale? Connect their accomplishments with their attributes. 5. End with a note about the personal aspect of working with him/her : In this section, hit the message home with a mention of how you felt working with the person, your hopes for their career, or simply a prediction about their future. Before sending it make sure that you proofread. Remember, the recipient has the opportunity to review and request changes to your recommendation, so if you're concerned you haven't written a recommendation in the most helpful way possible, they can still get in touch with edit requests. Cloud computing is about shared IT infrastructure or the outsourcing of a company's technology. Hence It is essential to examine your current IT infrastructure, usage and needs to determine which type of cloud computing can help you best achieve your goals. Public clouds : These are made available to the general public by a service provider who hosts the cloud infrastructure. Generally, public cloud providers like Microsoft and Google own and operate the infrastructure and offer access over the Internet. With this model, customers have no visibility or control over where the infrastructure is located. It is important to note that all customers on public clouds share the same infrastructure pool with limited configuration, security protections and availability variances. Public Cloud customers benefit from economies of scale, because infrastructure costs are spread across all users, allowing each individual client to operate on a low-cost, “pay-as-you-go” model. Another advantage of public cloud infrastructures is that they are typically larger in scale than an in-house enterprise cloud, which provides clients with seamless, on-demand scalability. Private clouds : This cloud infrastructure dedicated to a particular organization. 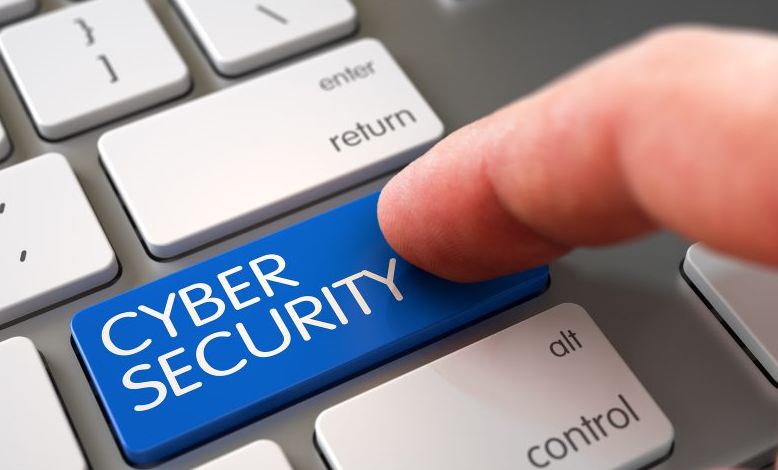 Private clouds allow businesses to host applications in the cloud, while addressing concerns regarding data security and control, which is often lacking in a public cloud environment. It is not shared with other organizations, whether managed internally or by a third-party, and it can be hosted internally or externally. On-Premise Private Cloud: This type of cloud is hosted within an organization’s own facility. A businesses IT department would incur the capital and operational costs for the physical resources with this model. On-Premise Private Clouds are best used for applications that require complete control and configurability of the infrastructure and security. Externally Hosted Private Cloud: Externally hosted private clouds are also exclusively used by one organization, but are hosted by a third party specializing in cloud infrastructure. The service provider facilitates an exclusive cloud environment with full guarantee of privacy. This format is recommended for organizations that prefer not to use a public cloud infrastructure due to the risks associated with the sharing of physical resources. Hybrid Clouds : These are a composition of two or more clouds (private, community or public) that remain unique entities but are bound together offering the advantages of multiple deployment models. In a hybrid cloud, you can leverage third party cloud providers in either a full or partial manner; increasing the flexibility of computing. Augmenting a traditional private cloud with the resources of a public cloud can be used to manage any unexpected surges in workload. Hybrid cloud architecture requires both on-premise resources and off-site server based cloud infrastructure. By spreading things out over a hybrid cloud, you keep each aspect of your business in the most efficient environment possible. Community Clouds : This a multi-tenant cloud service model that is shared among several or organizations and that is governed, managed and secured commonly by all the participating organizations or a third party managed service provider. These are hybrid form of private clouds built and operated specifically for a targeted group. These communities have similar cloud requirements and their ultimate goal is to work together to achieve their business objectives. The goal of community clouds is to have participating organizations realize the benefits of a public cloud with the added level of privacy, security, and policy compliance usually associated with a private cloud. These can be either on-premise or off-premise. 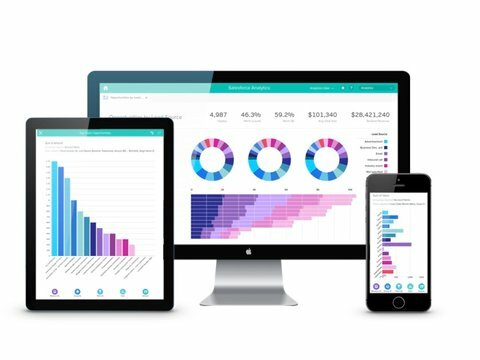 Salesforce.com will not be left out of the big data boom, and it’s hitting it in a way that suits its mainstream customers, with less overt math and lots more pretty pictures. The product’s official name is Wave, the Analytics Cloud, and Salesforce is introducing it at the start of Dreamforce, the company’s huge annual conference, currently tying up traffic in San Francisco. Two weeks ago, the company was projecting the event would attract more than 125,000 people. The product is not unexpected, because of some overeager tweeting by Marc Benioff, a Salesforce co-founder and the company’s chief executive. True to form, the boss started tweeting about it again Sunday evening, breaking his own company’s blackout on the news. Wave is intended to create sales, service and marketing analytics, either in packaged or custom forms, which can be read on desktop and mobile devices. It is meant to stress the data within Salesforce products, but it is also possible to import third-party information from companies like Microsoft, SAP and Informatica, as well as machine-generated data. Stressing the pictures may not be a bad thing. When so much data is around, the proper visualization of patterns and situations matters almost as much as the number-crunching itself, particularly to the somewhat under-math-endowed of the Salesforce customer base, sales and marketing professionals. In a demonstration, the application was able to look at a national sales force, quickly sort it by people and regions, then figure out where there were big disconnects between budget targets and actual results. Bringing in information about related sales and servicing deals, the analysis showed levels of machine use and failure rates, and suggested ways of generating new pitches. It was also possible to switch among different ways of displaying the data, such as pie charts and bar graphs. This may not be the most groundbreaking data product, but it seems easy to understand, practical, and useful on a number of devices. Right now, Tableau is one of the few notable companies making it easier to visualize data. Given the millions of customers using Salesforce, in other words, it is the kind of thing that could attract independent software developers to build products on it. Mr. Dayon later adjusted his estimate of the market size to $38 billion. 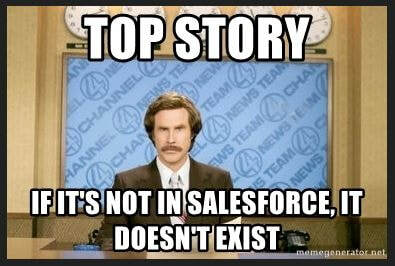 It would not be a Salesforce conference without a little hype, but he may have a point. Much of the industry is stuck in slower analytic methods, and a little glitz wouldn’t hurt.